What’s that gently rapping, rapping at your chamber door? Why it’s a new episode of the Movie Movie Podcast! Join Russ, Peter, Alex and myself for our discussion about The Raven, Safe, the Dr Seuss murders, Downtown Abbey and much more! Recorded on April 29th 2012 and featuring the song The Lion Sleeps Tonight by The Tokens. 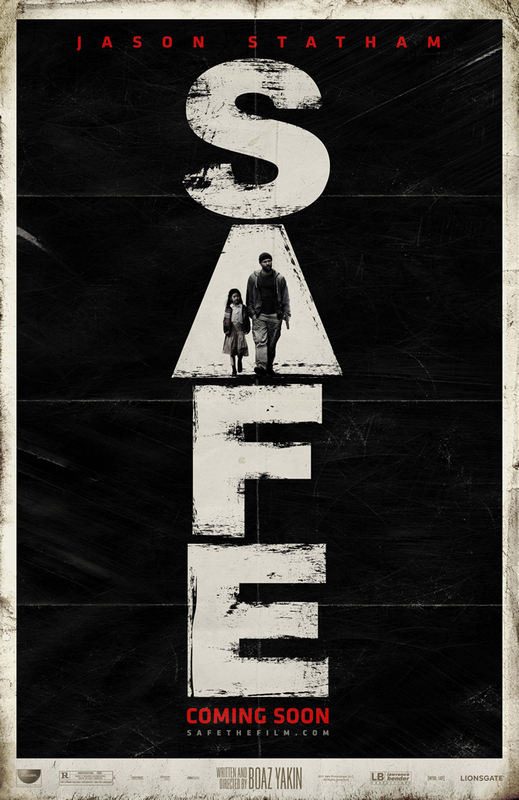 This is an exclamation the voice-over makes during a recent TV-spot for the upcoming action film ‘Safe.’ Statham only made a face for himself with the Guy Ritchie films, but he really made a name for himself with the Transporter franchise. ‘Transporter 3‘ was released in 2008, so this makes Jason’s return to action!